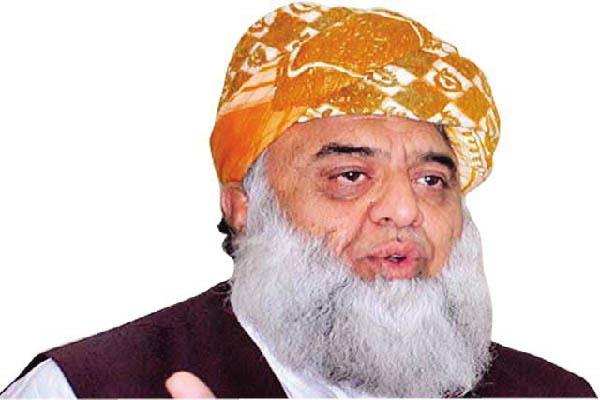 ISLAMABAD, Aug.1 (APP): Chairman of Special Committee of the Parliament on Kashmir Maulana Fazlur Rahman Monday said plebiscite under auspices of the United Nations was the only solution to the long standing Kashmir dispute and India would not be able to keep the Kashmiris slave for a long time. Speaking on an adjournment motion in the National Assembly about Indian forces’ operation and brutalities on innocent Kashmiris in Indian Occupied Kashmir, he said, more than 70 people were martyred and thousands injured since Eid ul Fitr when the Indian occupied forces started brutalities against the innocent people of Kashmir who were struggling for their just right of self-determination. Lashing out at Modi’s aggressive and extremist policies,, he said, India was denying the Kashmiris the UN accepted right to self-determination and instead was using all tactics and means to crush the Kashmiris’ movement. He said in the past allegations were leveled that Pakistan was interfering in Kashmir and sending armed people there but for the last several years there was no armed struggle and the local people of Kashmir were waging indigenous movement. He said the youths of Kashmir had proved that they were ready for sacrificing their lives for their cause, adding that the Kashmir struggle had now been converted into a political movement. Fazal said, due to the efforts of Pakistan and Kashmiris, awareness of the world community about the Kashmir issue was increasing and voices in support of the hapless Kashmiris were being raised not only in other countries, but in India as well. He said even the Indian intellectuals were asking their government that the movement inside Kashmir was indigenous and they were proving from their struggle that the movement was not being fought on behest of someone, adding that even political parties in India had protested on recent brutalities in Kashmir. long standing dispute on the UN agenda. He said despite facing several challenges of terrorism and militancy, Pakistan would provide diplomatic, moral and political support to the people of Kashmir, adding that Pakistan considered it its duty to represent sentiments of Kashmiris. He said all political parties in Pakistan were on the same page on Kashmir issue. Pakistan was even ready for a third party mediation on the issue. He called for a policy on Kashmir with national solidarity and added that all policies should be framed in the Parliament and the Parliament and its committees should be made more strengthened. He also called for making the terms of references (TORs) of Parliament Special Committee on Kashmir more effective.